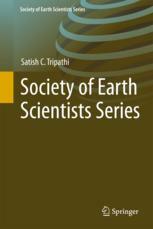 e-Journal Earth Science India always invites good quality geoscience images from across the world for its “Gallery”. The Gallary is being updated every quarter. The primary mission is to provide these geoscientific photos to educators, students, the geoscience community, and the nature loving people. Your contribution will help us developing an image bank for the benefit of the scientific community, and public at large to enhance Earth Science education. There are a number of ways you can send your images to us. If you have digital copies of your photos, you can email us at earthscienceindia@gmail.com with the images attached and description of the image or else can send us image CD's of your work to be incorporated into our Gallery at our postal address given below. If you do this, we do have some requirements for file size of the images. The image should be scanned minimum about 300 pixels wide (If higher, then photos may be sent by CD). We prefer .jpg files, but it is not necessary to send them as such. All the photos in our “Gallery” are without any copy right and can be freely downloaded and circulated for any non- commercial use. If you have any questions regarding making contributions please feel free to email us.